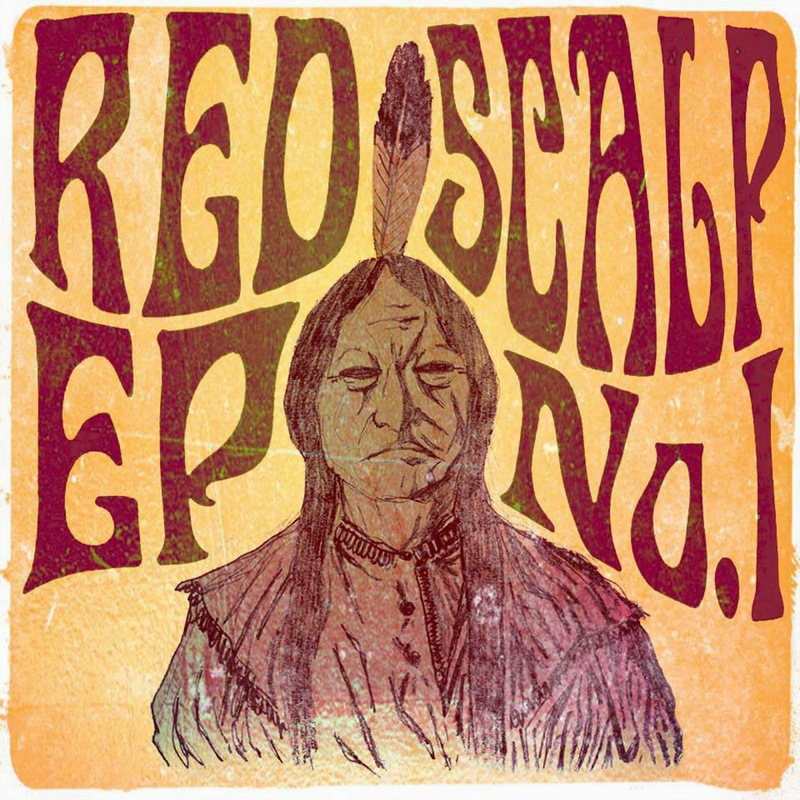 Despite the "Ep" in the name, the first release from Red Scalp is a full album, stretching to ~45 minutes of desert/stoner rock with a broad stroke of psychedelic embellishment. Red Scalp's resolutely defiant attitude helps amplify the regular rebel vibes of the style, and the guitar takes big, sharp bites outta riffs as they jam along. Extra touches of throw-back bluesiness come through in the paired set of "Sweet Pill" songs, and the shift towards bigger track-times for the album's latter half lets the band indulge their experimentalism even more after the opening set-up. The outbreak of a drum-led chant on "Tatanka" is probably the best instance of matching the music of Ep No. 1 to the cover art, but the band is gifted when it comes to finding deep-vein grooves and keeping it lively while the slow beats plod ahead. There's more than a few ear-worms lurking in the depths of the album, while the amps and production work have a nice warmth for the ears. All together, it's a solid debut, and a promising starting point for this Polish band.